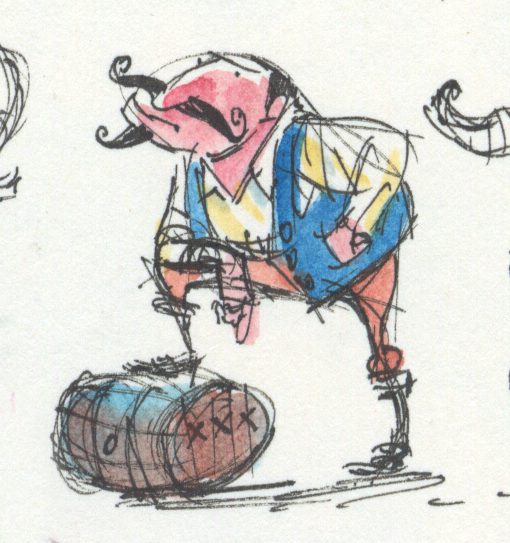 A pirate from my sketchbook. Or John Jameson. Not sure which. Quite nice. No idea who John Jameson is though. Thanks, Minifig3D. John Jameson is the tall-taled, somewhat fictitious character in Jameson Whiskey commercials.